Cut onions and apple into small cubes. Heat olive oil in a casserole dish and add onions and apple. Cook for approx. 2 minutes without colouring. Add cumin, paprika and ginger. Cook for 1 minute. Add sugar while stirring the mixture until dissolved. Add vinegar while stirring the mixture until incorporated. 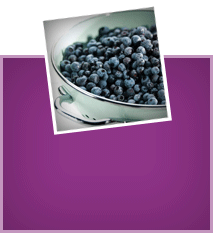 Add wild blueberries and salt and mix well. 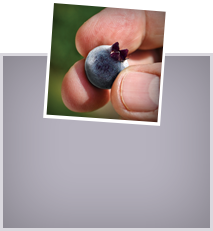 Transfer to small container and let cool in the fridge. 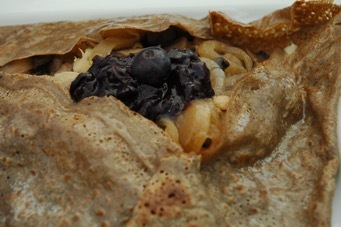 Serve over Buckwheat “Galette” stuffed with sautéed chicken, sliced mushrooms and caramelized onions.